I had such an overwhelming response on my card yesterday that I thought I would use the same idea but just mix things up a bit today. Here is the post from yesterday in case you missed it. 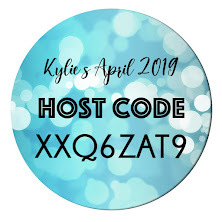 Today I wanted to play along with the Global Design Project again as are theme is Thank you and I have another person that I want to thank that has been playing along with our design team regularly. Its the lovely and super talented Michele Jutrisa. 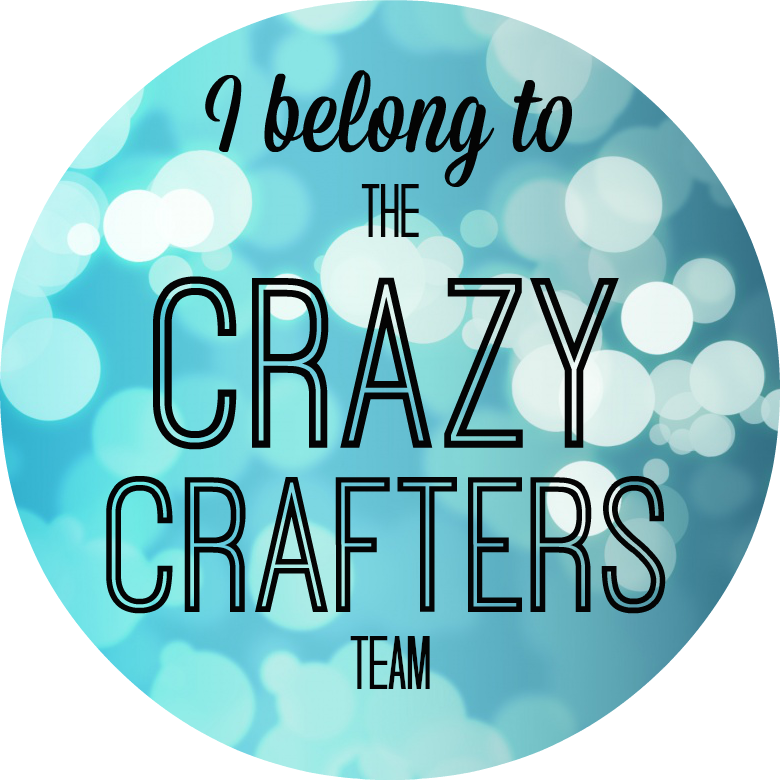 We appreciate your support and I personally want to thank you for inspiring me with your designs. 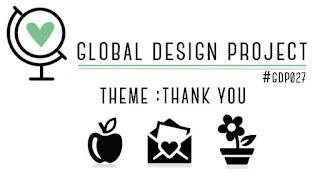 For more inspiration head over to the Global Design Project Challenge blogas the gallery is already filling up this week with this theme of Thank You. 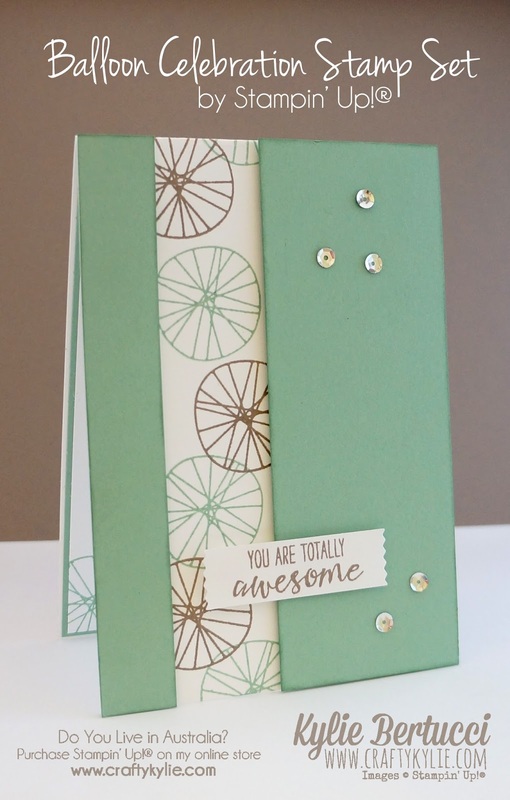 Here is my card that I CASE'd from yesterday using the same stamp set too. 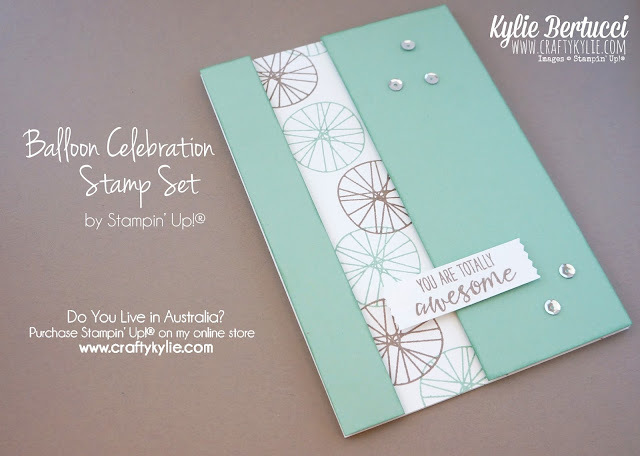 I really love this design with this stamp - it is one that not many have used either so I hope that it gives you some ideas on how you could use it. You could do the same layout with all different colours. I adore Mint Macaron and Tip Top Taupe - so glad they are around for another year! 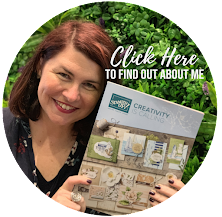 I hope you like my CASE of yesterdays card - it makes creating so much quicker and easier when you already have a place to start - and then you can just change the colours, stamp set and sentiment to create a card that becomes its own. Thanks for all your lovely comments too! This week I received some happy mail! Do you love getting happy mail? I LOVE it. The gorgeous Rebecca Chivers sent me these gorgeous cards all the way from the UK! I was so thrilled when I received them. Handmade cards mean so much to us - do you want to send someone a card that will REALLY appreciate it? Here is a RAK card document that I have put together (Random Act of Kindness) Add your name and send someone on the list a card! It is so rewarding to know that you have done something lovely for others. Click here to see the document and add your name. Make sure you head over to the Global Design Project to see more inspiration or to hopefully play along. Our record is 125 entries - do you think we can beat that this week? 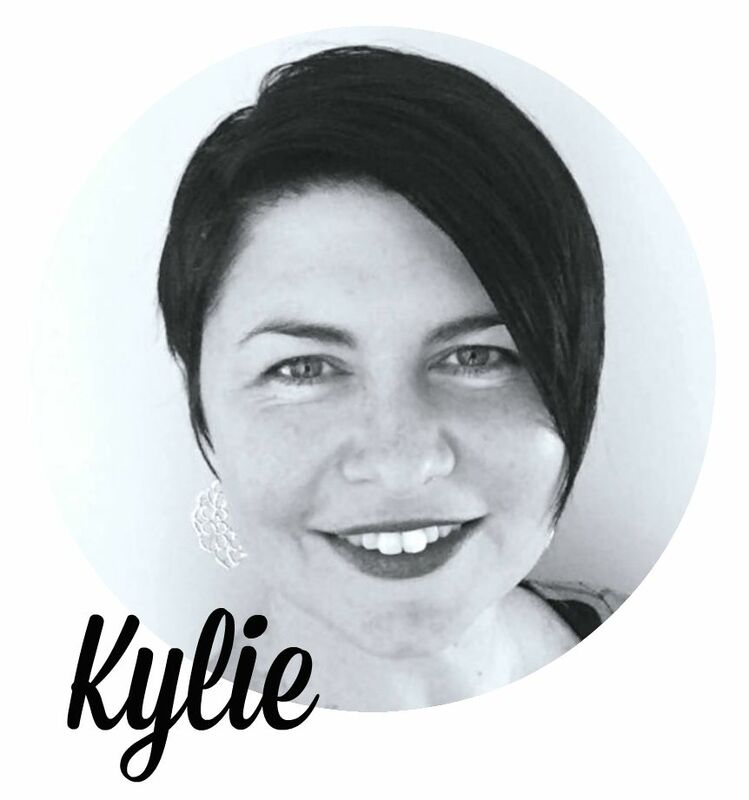 Love the card Kylie (and yesterday's too). Do you have any idea what the stamp image you used in this one is meant to be? A friend and I have pondered over it and can't think of anything that ties in with the rest of the stamp set...is it just a random image?! Hi Louise! Thanks so much for your message - my husband Bruno is an architect and he said when he saw this for the first time that it is what they use as a tree in architecture! Not sure it fits with the set.... but that is what he said it reminded him of. Hope that helps! Haha...thanks Kylie - it does help - now I'll think of it as an architectural tree as well! Oh Kylie, this is such a fun, fun card. Now I know what to do with those watch-a-ma-call-it thingys. LOL!